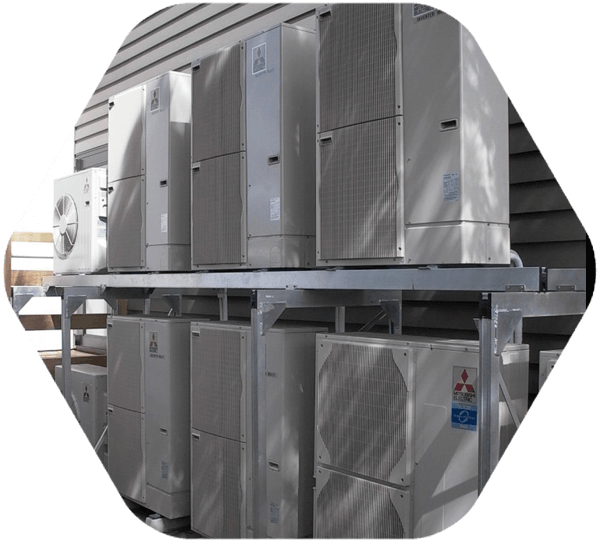 We offer a total air conditioning and ventilation solution for all types and sizes of commercial buildings. From shops and offices to medical centers, rest homes, bank branches, hotels, laboratories and multi-level buildings. We will provide a competitive quotation that will include all installation and electrical work which will be carried out by our qualified installers. All of our installation work is covered by a 12 month workmanship guarantee. The equipment we supply will be covered by parts and labour warranties of 1 to 6 years. We also offer preventative maintenance and service contracts on all types of commercial air conditioning and ventilation systems. See the Service section of our website for more details. Short and long term rental options are also available through our associated company Air Assurance Co Ltd .
We offer a full design and build service and can provide designs, specifications and Producer Statements for building consent applications.